Nancy Vogl is a seasoned veteran in the speaking world and owner of Nancy Vogl Speakers Bureau. 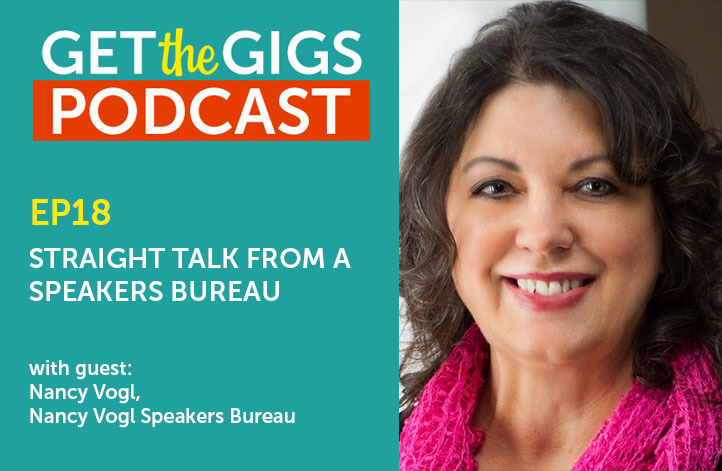 Nancy drops by for a frank talk about what speakers bureaus are really looking for. We also touch on best practices for video and websites. What is it about a speaker that catches Nancy’s eye? How many videos does a speaker need and how long should the video be? What are some mistakes that speakers often make with their websites?